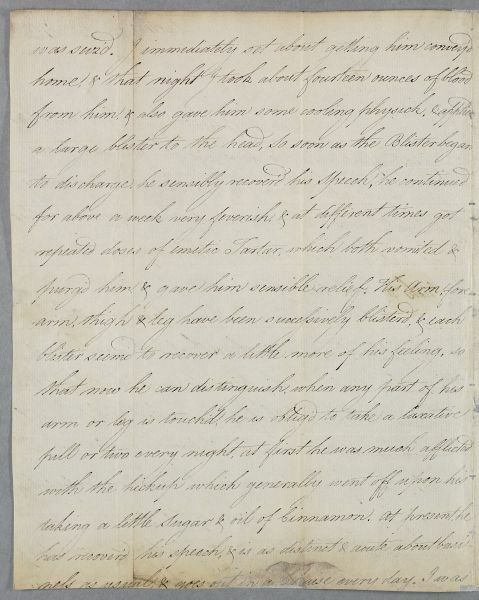 Letter from Robert Wood, concerning the cases of Peter McCulloch, who he has yet to examine for the stone, and John Donaldson, a gentleman farmer who was recently struck with a palsy (stroke). Wood passes on greetings from his wife as if they are on friendly terms with Cullen and his family. There are 4 images for this document. 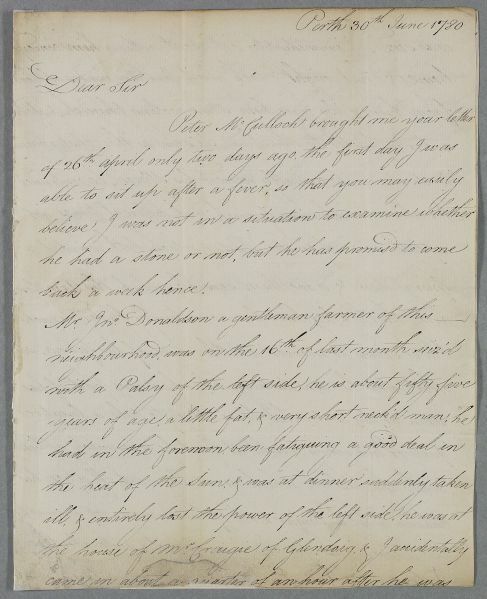 Summary Letter from Robert Wood, concerning the cases of Peter McCulloch, who he has yet to examine for the stone, and John Donaldson, a gentleman farmer who was recently struck with a palsy (stroke). 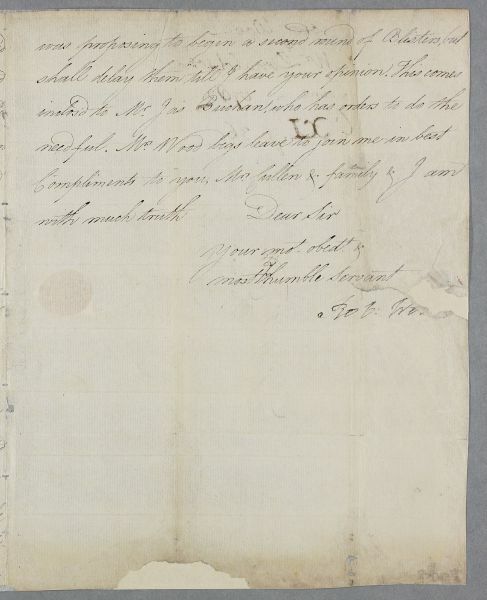 Wood passes on greetings from his wife as if they are on friendly terms with Cullen and his family. Case of Mr John Donaldson, a 'gentleman farmer' seized with a Palsy. 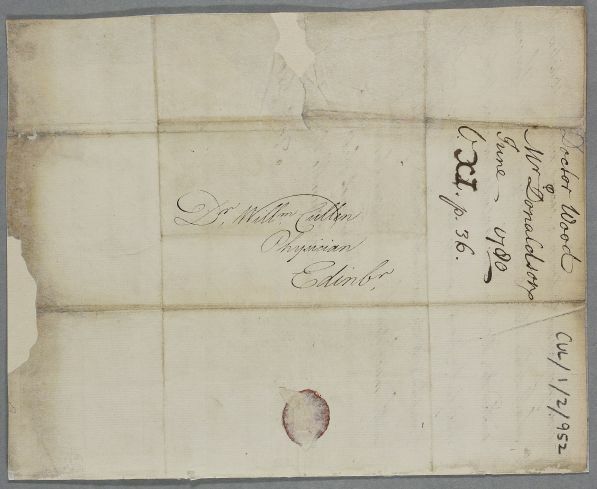 Case of Peter McCulloch, who is mentioned briefly as needing to be examined by Robert Wood, surgeon at Perth, to ascertain if he has 'the stone or not'.